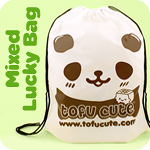 Welcome to Tofu Cute's Kawaii Blog! 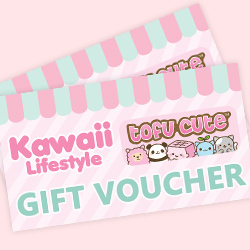 Here you can read all about cool new products, special offers, events that we attend, and interesting articles on all things kawaii. If you have a Tomodachi Card, react to articles to get points! 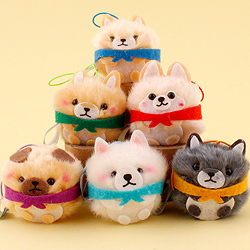 Gear up for February with five awesome AMUSE products that aren't plush! Find out which Love Poem from our Tofu community we loved! The Tofu Q&A returns! Your Questions answered! What's the Best Japanese Snack this month!? Get someone started collecting Re-Ment this Christmas! Get the perfect Christmas Gift for a dog or cat fan! 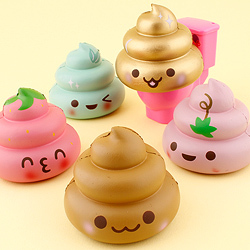 The perfect kawaii gifts for someone indecisive! We loved MCM London Comic Con! Which charms and keychains are the best? We help you decide. Our experts decide how egg-cellent these gudetama chocolates are! What's in an ultimate tofu bag? 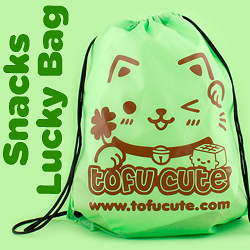 Got opinions on Tofu Cute products? Now's your chance to win big. Our experts break down the kawaii appeal of the AMUSE company’s iconic dog brand - but which one is the best? Why should you join the #FlanClub? Tofu Cute went to HYPER JAPAN! What did we get up to? Find out what happens to Gudetama when he visits Disneyland with Team Tofu! Come find out what happens when Team Tofu meet real Alpacas at Dunreyth Alpaca Farm! Take a look at what happened when Tofu Cute visited Portsmouth Pride for its first annual parade!